How did the bus driver disappear? Several people were on the Sno-bus from the train station to a ski lodge in Canada when the bus driver said that something was wrong, and that he would fix it. He got off the bus into the heavy snow. The group waited for him to return and he didn't. Indeed, the bus driver had disappeared. Mr. Crawford said that he would try to drive the bus, but he couldn't get it started. women living in the house which had seen better days. There were places on the walls where it was obvious that paintings had been removed, and places in the rooms where furniture was no longer. Isobel Seton was a thirty five year old single woman from New York, and this was her first skiing trip. The reader views much of the action and the other members of the group through Ms. Seton's eyes. She was quite taken with Mr. Charles Crawford who seemed to be quite decisive and who seemed to have a gun in his pocket. Ms Seton also believed that the missing bus driver had come to the house and was there somewhere. She even undertook a search for him which failed. The members of the group settled in and spent the first night in their rooms. There was a scream in the night but they didn't know where it came from until the next morning when they found the frozen body of Miss Floraine Larue in the snow. It seemed that she had fallen from the second floor balcony of the house. Another murder would occur, and the search continued for both the murderer and the bus driver, and another stranger showed up at the house seeking to get out of the cold. 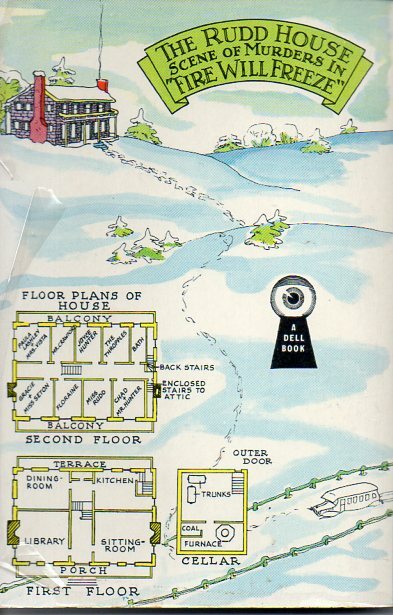 This book belongs in the subgenre of country house mysteries which deal with a group of people trapped in a country house because of the snow. Some eager list maker should make a list of these books. It definitely has an appeal to readers who seeking a book to read while they are trapped inside by miserable winter weather. I thoroughly enjoyed the book. There are definitely some good funny lines. The characters of the members of group are well drawn. Among them there is an incompetent poet and his overweight patroness, and a college girl who had taken a psychology course and understood everybody else. One can only wonder why most of the group wanted to go skiing. 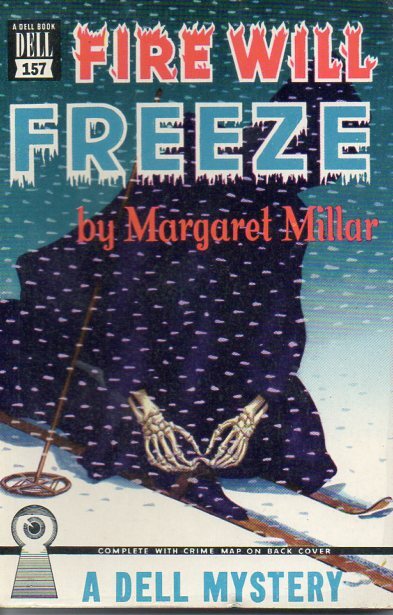 This book was written in 1944 by Margaret Millar. She was a Canadian until she married the mystery writer Ross MacDonald. They moved to Santa Barbara. California which definitely had better weather. I have read this book for the 2018 Just the Facts, Ma'am challenge. 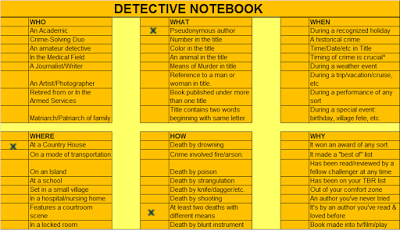 In my detective notebook it is the category of Where - In a country house.